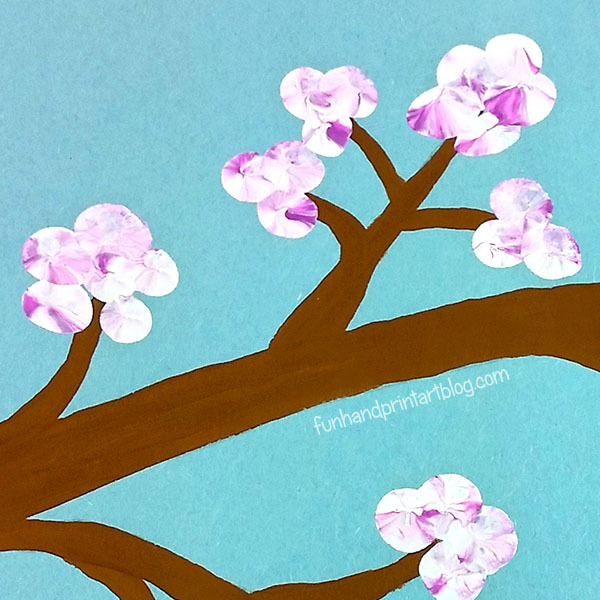 Let’s make a pretty cherry blossom branch craft using fingerprints to celebrate Spring! It’s also a great way to introduce kids to Japanese culture. The cherry blossom represent the beauty of life, new beginnings, and hope. They serve as a reminder to enjoy life. Their significance in Japanese culture goes back hundreds of years. I love seeing them bloom around here and never seem to be quick enough to take pictures forgetting how fast the flowers fall off the trees. *This post contains affiliate links. Please read our full disclosure here. 1. 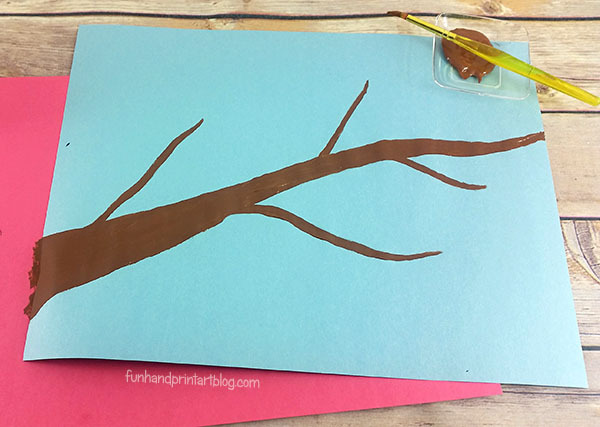 Lightly trace the outline of a tree branch with a pencil, then paint it brown. 2. 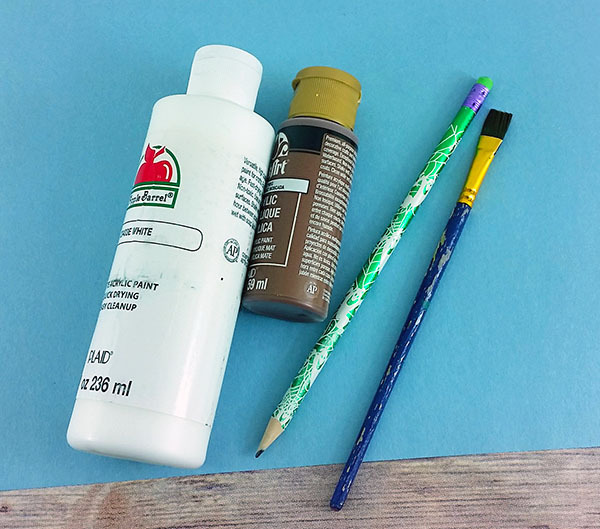 Pour a little white paint, then add a drop of violet and swirl, but don’t mix. 3. 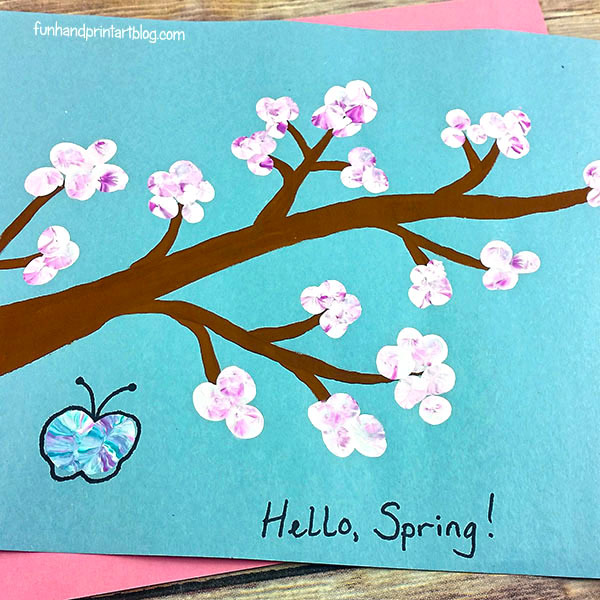 Have your child dip their finger into the paint, then press to make the blossoms. 4. 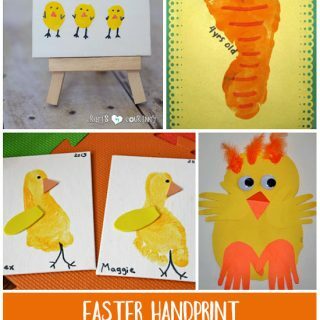 Make two side by side thumbprints for the butterfly and outline with a marker. 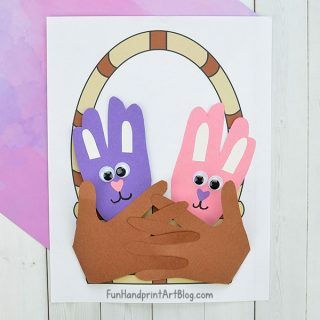 Find our Fingerprint Spring Cherry Blossom Tree Craft here! It also incorporates counting making it a fun way to learn. Beyond the fun and fascinating facts, you’ll also learn about the spirit that makes Japan one-of-a-kind. This is a multicultural children’s book for families to treasure together. In this treasure trove of much-beloved Japanese children’s stories, you’ll meet charming characters drawn from folklore and passed down for generations. These tales about playful goblins with long noses, walking statues, and a delightful hero who just happens to be one inch tall speak of the virtues of honesty, humility and hard work. What better way for a parent to teach than through stories that thrill their children! Blossom Kids – an interactive way to learn about the annual festival held in Washington D.C. 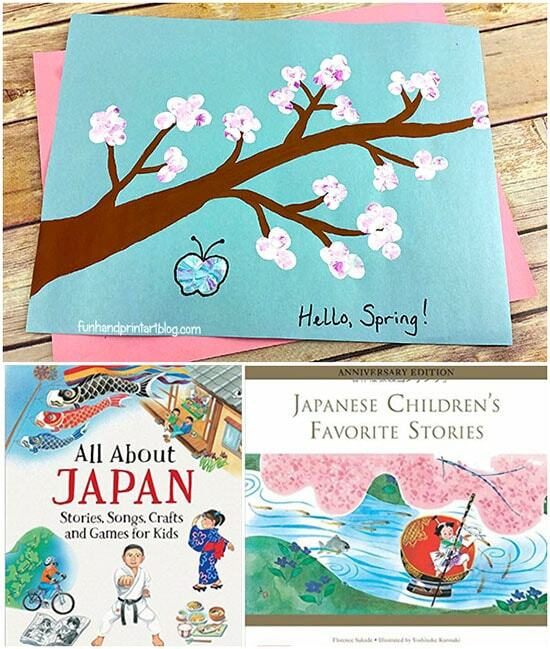 Kids Web Japan – Explore and learn about Japanese culture.